Hire String Celebrations U.S.A. The experience will be unforgettable! String Celebrations USA offers performances by experienced, professional, classically trained musicians in the Greater Cincinnati area. 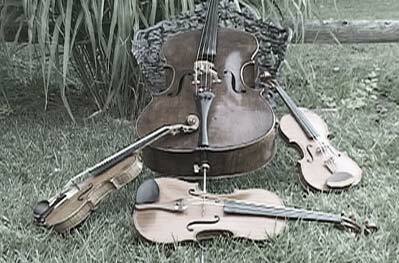 We offer string quartets, string trios, string duos, and strings in other combinations with flute, clarinet, oboe, trumpet, keyboard, and voice. We perform throughout the year for many different occasions, including weddings, receptions, cocktail hours, private parties, corporate events, and concerts. Our repertoire includes classical, popular, jazz, ragtime, opera, showtunes, Christmas and sacred music, Jewish, Klezmer and folk music. We also have a music arranger to honor your special requests! Thank you again for playing in our ceremony. We really enjoyed having you and your group. Everyone was very impressed! Thanks so much for your string performances at our recent Water, Earth, & Sky Family First Saturday. You sounded wonderful, and definitely helped make our event a success. Thanks again.